Have you ever thought about selling your home on your own? No real estate attorneys, no extra costs, or commission fees… but how would you go about doing that? Where would you even start? A few weeks ago our lead attorney at Schorr Law, Zachary Schorr, was featured in an article on the Wall Street Journal. 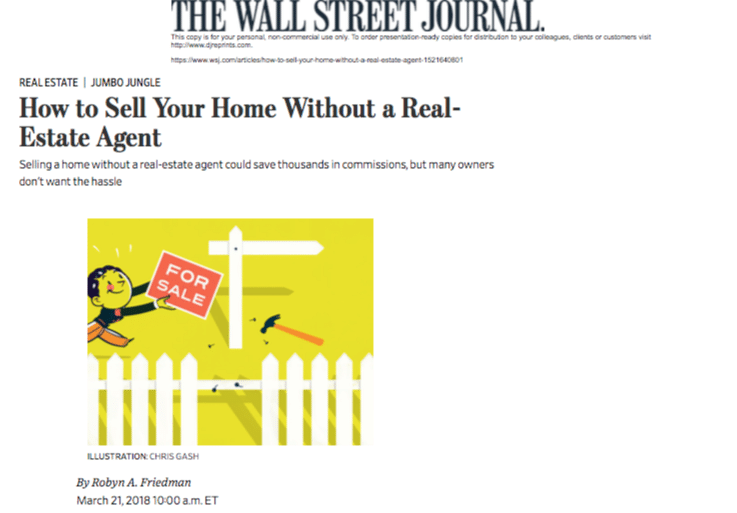 The article covered how to sell your home without the help of a real estate agent. Mr. Schorr spoke abot the importance of having an attorney for a luxuy sale, stating that the advice you would get would be “invaluable”. To learn more, or to read the article, click here.